How ZenRx Works: Relax with ZenRx! Anxiety is an ailment that affects everyone occasionally, but for certain people, it can be a severe and chronic problem that can dramatically affect their quality of life. Sudden panic attacks can drastically alter your day to day life, many times ultimately leading to depression. Anxiety? Panic attacks? Stress? ZenRx can help! An incredible amount of painstaking research and development, countless testing and reformulation, and product refinements have gone into the precise formulation of ZenRx to make it the most effective anxiety treatment available today! What causes anxiety in the brain? There are several biochemical causes of anxiety in your brain. Several neurotransmitters in the brain mediate the different components of anxiety, including excitatory amino acids such as glutamate, inhibitory amino acids such as gamma-aminobutyric acid (GABA), serotonin, and monoaminergic neurotransmitters such as catecholamines and indoleamines. Different aspects of the anxiety response are mediated by various neurotransmitters in anatomically distinct areas of the brain. ZenRx has been scientifically formulated to positively affect these brain chemicals, reducing anxiety and inducing feelings of calmness and relaxation. The neurons located in the dorsal and median raphe nuclei of the brain stem are the primary source of serotonin production in the brain. The serotonergic system has been implicated in regulating anxiety, as well as impulsiveness. The role of serotonin in anxiety is supported by its modulatory effects on the locus coeruleus and its dense projections to the amygdala. Serotonin is a monoamine transporter; that is it carries important messages along the neural pathway in the brain. Decreased serotonin activity is directly associated with anxiety. In addition, low activity of serotonin may permit the dysregulation of other neurotransmitters, including norepinephrine. One ingredient in ZenRx, Gamma-glutamylethylamide or theanine, is known as an analog of glutamine and glutamate and is able to cross the blood-brain barrier. As this chemical passes the barrier and is already in the brain, theanine causes a considerable increase in either serotonin or dopamine concentrations in the brain, especially in those parts of the brain like the striatum, hypothalamus and the hippocampus. Serotonin is a chemical well known to be a contributor to feelings of well-being, while dopamine on the other hand is a neurotransmitter similar to adrenaline. These chemicals are being produced by the body when we are happy and feeling good. An imbalance or lack of these chemicals will often lead to mood swings and an irrational, grumpy attitude. An increased concentration of serotonin and dopamine in the brain will cause an individual to feel relaxed and calm. The key ingredients in ZenRx support and regulate healthy levels of serotonin in your brain, thereby alleviating this cause of anxiety. ZenRx also regulates your body’s production of dopamine, alleviating this nexus of stress and allowing a relaxed, care-free state of mind. Neurotransmitters are chemicals in the brain that communicate information across a gap between neurons, called a synapse. The chemical is released by one neuron and must then cross the gap to be accepted at a specialized site called a receptor. Once the neurotransmitter does its work, it must be inactivated by an enzyme or what is called a reuptake mechanism. 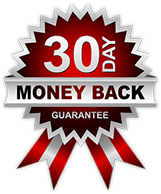 In reuptake, the neurotransmitter is reabsorbed by the original neuron that released it. The ingredients within ZenRx are proven to affect the limbic system as well as a wide range of neurotransmitters and neurotransmitter receptors, including gamma-aminobutyric acid or GABA, dopamine, norepinephrine and epinephrine. The ingredients in ZenRx have been found to support, affect and facilitate the transmission of the neurotransmitter GABA. ZenRx is also able to inhibit the uptake of another neurotransmitter called norepinephrine. The ingredients in ZenRx have also been shown to affect dopamine, resulting in an increase in this neurotransmitter, and promoting relaxation and relief of anxiety. One of the ways that ZenRx works in the brain is by affecting neurotransmitters such as gamma-aminobutyric acid (GABA), a neurotransmitter chemical that nerves use to communicate with one another. GABA is a neurotransmitter that can slow down or stop certain nerve signals in the brain inducing tranquility, relaxation and sedateness. Excessive activity of nerves in the brain may be the cause of anxiety and other psychological disorders. If our brain produces more excitatory neurotransmitters like norepinephrine or epinephrine (adrenaline) than normal, one can become anxious or have more stress than normal. When GABA binds to a nerve cell receptor, it opens the nerve cell so that chloride ions which are present in the brain are allowed to move into the nerve cell and slow the activity of the cell, causing the person to experience feelings of calming and relaxation. The ingredients in ZenRx work by binding to a receptor which is located on neurons in the brain called the gabor receptor. 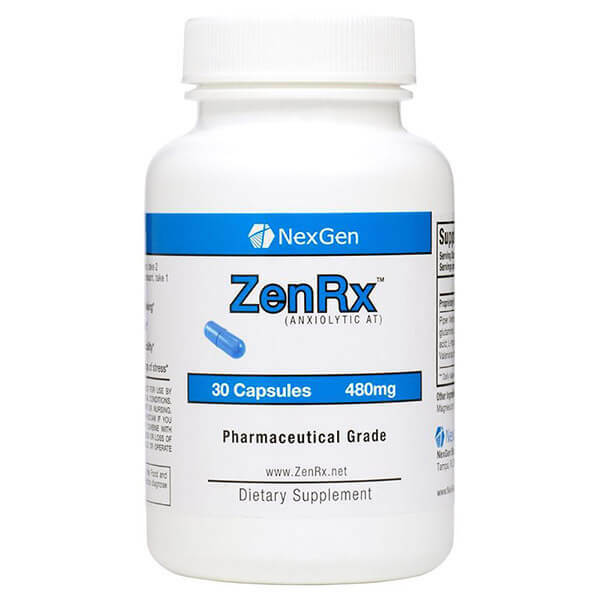 By binding to this receptor, ZenRx slows the excitatory activity within the neurons and supports and increases the effects of GABA in the brain and spinal cord, inducing calmness and relaxation. The limbic system is a complex set of structures that lies just under the cerebrum of the brain. The limbic system includes the thalamus, hypothalamus, the hippocampus, the amygdala, and several other nearby areas of the brain. The limbic system is responsible for a person’s emotional life and a person’s control over their emotions. In particular, the hypothalamus and amygdale portions of the limbic system are primarily responsible for emotions. The hypothalamus receives information inside of a person’s body to and from the organs. It starts the stress response by telling the adrenal glands that a person is under stress, allowing the glands to prepare for the stress. If the hypothalamus has too many neurons that respond to stress, it can cause anxiety. The amygdala registers tone and intensity of emotions and notifies your brain, specifically the hypothalamus, as a response to stressful situations, alerting your body as a part of the fight-or-flight emotional response, also causing anxiety if over stimulated. One way that the ingredients in ZenRx exert their therapeutic effects is by acting on the limbic system. The ingredients in ZenRx bind onto various receptors in the brain, particulary the part of the limbic system known as the amygdala and hypothalamus that regulate feelings of fear and anxiety. When the ingredients in ZenRx bind to the receptor sites in the limbic system, they slow the responses of these areas of the brain and thereby cause relaxation and anxiety relief. ZenRx does not interact specifically with the receptor binding sites in the limbic system which cause sedation, rather, they only modify the receptor domains that regulate emotions and fear, causing relaxation and stress relief without inducing sleep or impaired cognitive function. Melt Your Stress Away with ZenRx! Anxiety is something that affects everyone occasionally, but ZenRx can help alleviate anxiety and allow people to enjoy a better quality of life. An incredible amount of research and development has gone into the precise formulation of ZenRx to make it the most effective anxiety treatment available today! Try ZenRx today and start living better!